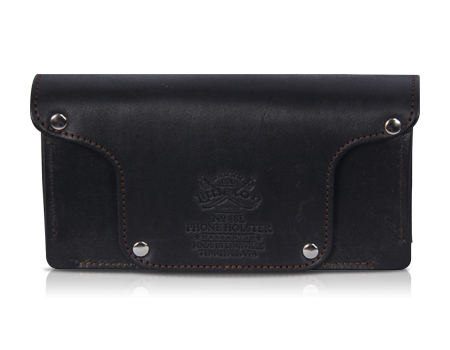 Start carrying your devices in style with the Colonel Littleton Large Black No. 48 Holster, which is made with polished leather and soft interior linings. Made in the USA of black polished leather and soft interior lining. Not only will the No. 48 Holster carry your phone, camera, MP3 or other electronic device…just throw in some cash, an ID card, and a couple of credit cards and you're set for shopping, golfing, or other excursions.